When Does Child Personality First Appear? As young as in infancy, we attribute certain character traits to children. We might say "he's a happy baby," or "she's easy-going," or opine that a child is "stubborn." But while these characteristics might provide hints of what's to come, your child's personality doesn't truly begin to take form until later. There are good reasons for parents to want to know what their child's personality will be. Parenting an introvert may involve different skill sets and techniques than parenting an extrovert, and children with different personality traits will respond better to different motivations and discipline strategies. These personality traits start to emerge in elementary school. Here's how you can tell when your child's personality is emerging, and what that personality may mean. There are hints of child personality from very early on in life. For instance, some infants crave routines, while others prefer greater flexibility. Psychologists call these early clues "temperament." Temperament is innate and has been characterized in various ways by different researchers — in other words, babies have certain temperaments naturally, but temperament is not their "personality." Personality is the sum total of an individual's emotional, attitudinal and behavioral responses. According to psychologist Dan McAdams, an individual's personality can be characterized by observing their specific personality traits over the course of years. These traits don't appear in a clear and consistent manner until the tween years. Therefore, child personality emerges in the truest sense only as adolescence approaches. Before then, you can look at children's behavior as reactions to other personalities around them, whereas behavioral responses occur starting around 11 and 12 years of age. Like temperament, personality traits have been characterized in various ways by different researchers. Conscientiousness. This describes someone who tends to be on time or early for appointments, is highly responsible and works toward long-term goals with little or no supervision. Agreeableness. Also called pro-social, a person who is agreeable generally has positive social interactions, is pleasant to be around, works to help others, and cooperates well in group situations. He also tends to show affection readily and often. Openness to experience. A person who is high in openness to experience is creative, flexible, curious and adventurous. He enjoys having his mind and senses stimulated, such as by viewing art, listening to new music, sampling exotic cuisine and reading literature and poetry. An open person likes to have variety in his day-to-day life and craves novelty. Neuroticism. A person who has a tendency to experience negative emotional states, such as anxiety, anger, guilt, and depression, regularly. People with high levels of neuroticism are more likely than average to respond poorly to stress and to interpret situations as threatening or hopelessly difficult. Extraversion. An extrovert is a person who is energized by being around other people. This is the opposite of an introvert, who is energized by being alone. These five traits first crystallize in children during the tween years, and the resulting combination of traits ultimately makes up your child's personality. 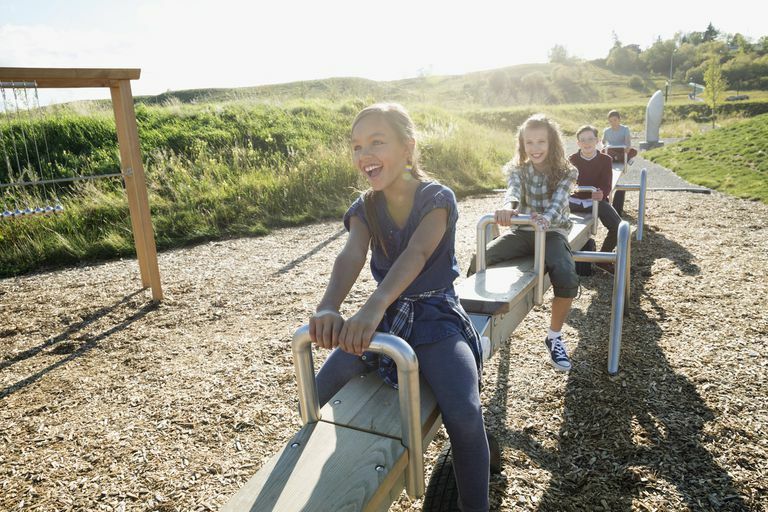 In particular, researchers begin to find differences from one child to the next on each of these so-called Big Five traits during the tween years. They also find general trends in levels of the Big 5 traits occurring for all tweens. For example, conscientiousness tends to be on the rise during the tween years. The combination of readily observable individual differences coupled with overall general trends indicates that traits — and hence "child personality" — most truly emerge during pre-adolescence. Once personality emerges, it doesn't shift much: a 2010 study found that personality traits first observed by elementary school teachers could predict adult behavior. That study, from researchers at the University of California, Riverside, the Oregon Research Institute and the University of Oregon, used personality ratings from elementary school teachers in an ethnically diverse group of children in Hawaii back in the 1960s, comparing those personality ratings to videotaped interviews of 144 of those people 40 years later. The researchers found that traits noted by the teachers still persisted four decades later and that those traits predicted responses to social situations. Everyone's personality is unique. As your child comes into his or her own, support the positive aspects of personality by celebrating what they're already showing you makes them tick. Nave CS et al. On the Contextual Independence of Personality: Teachers’ Assessments Predict Directly Observed Behavior after Four Decades. Social Psychological and Personality Science. 2010 Jul 8; 3(1): 1–9.